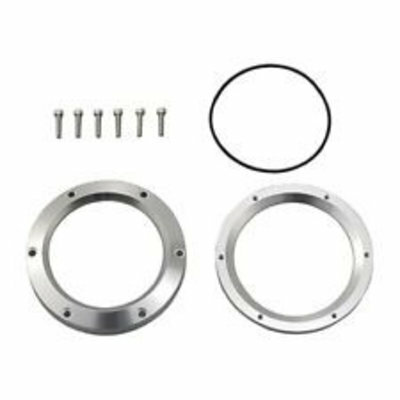 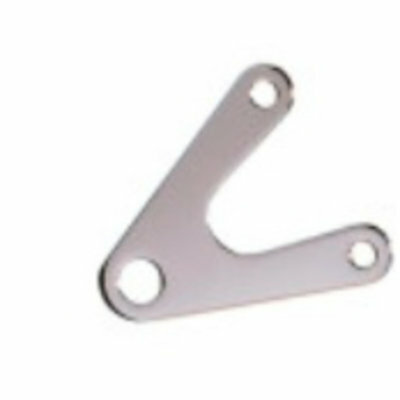 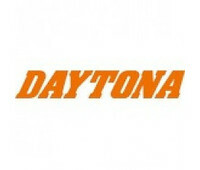 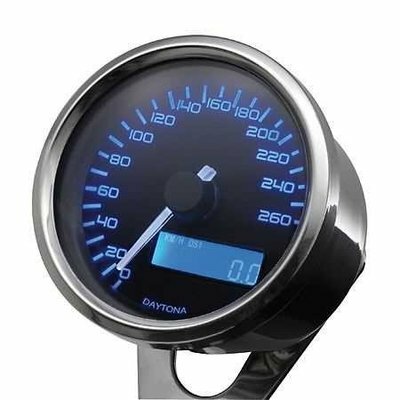 Daytona Velona Toerenteller Zwart 18.000 RPM. 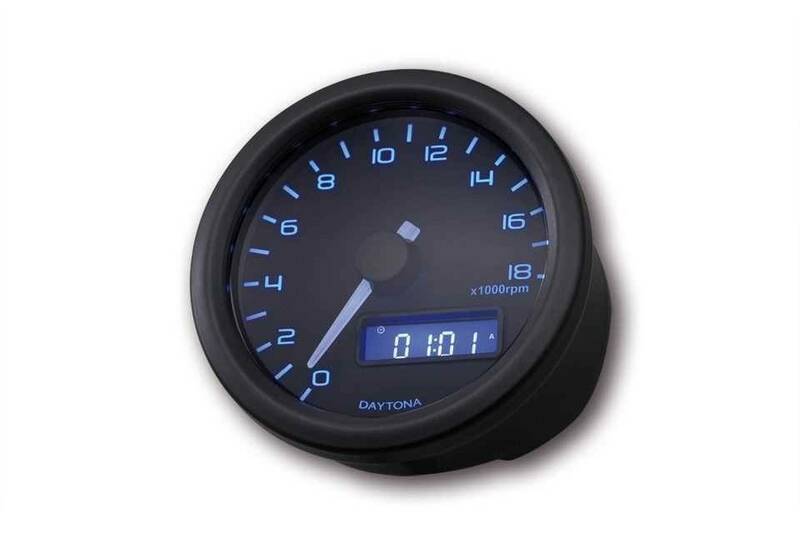 Daytona Velona Tacho Black 18.000 RPM. 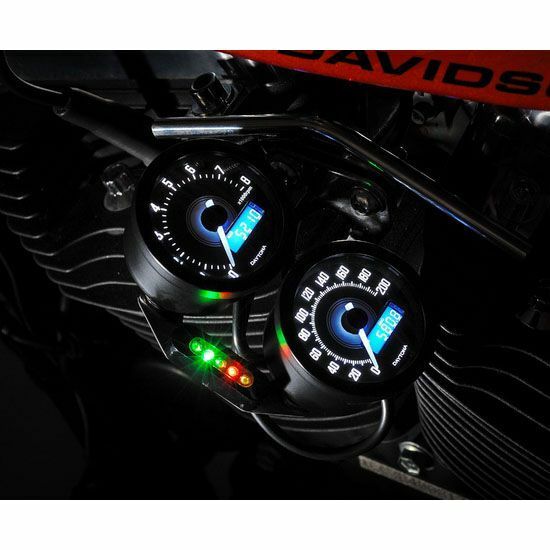 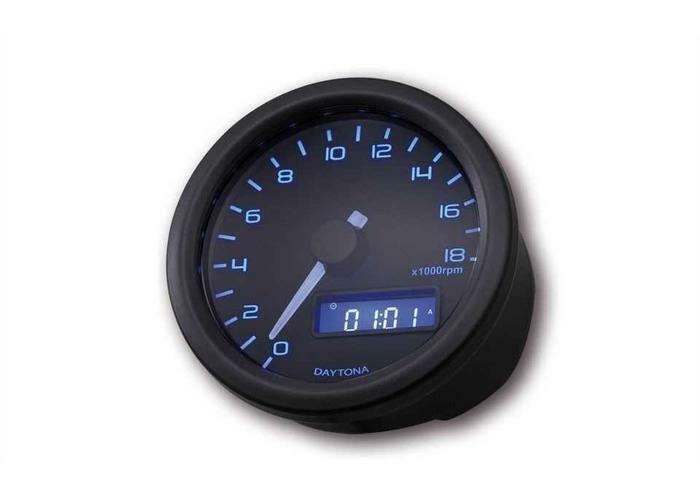 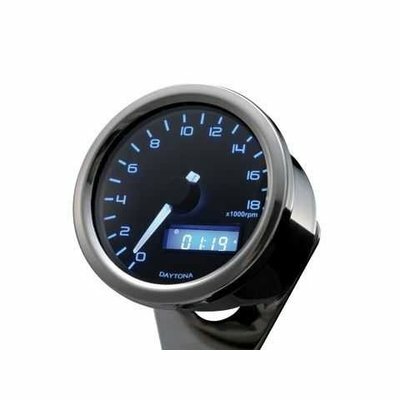 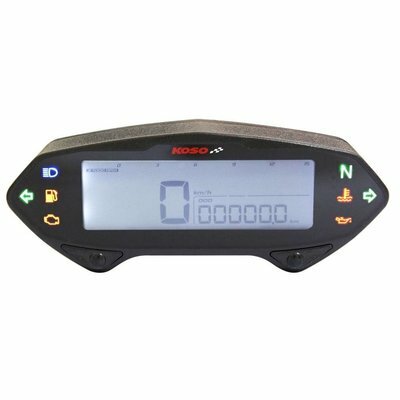 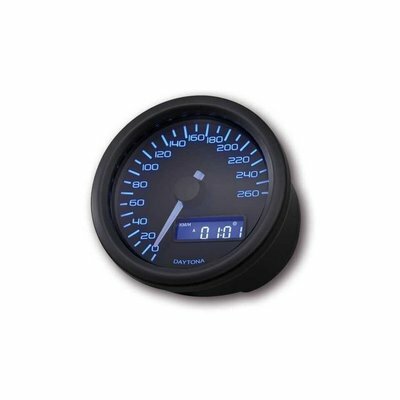 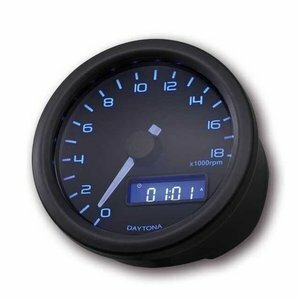 DAYTONA digital tachometer VELONA, black housing, diameter 60 mm, up to 8,000 rpm, bracket included, white backlight illumination. 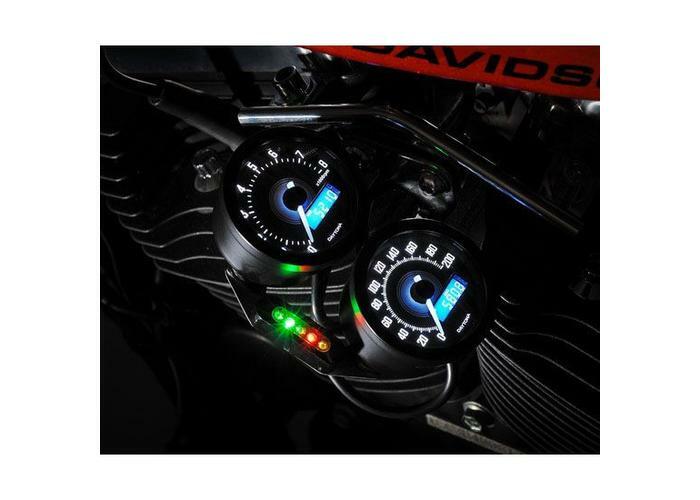 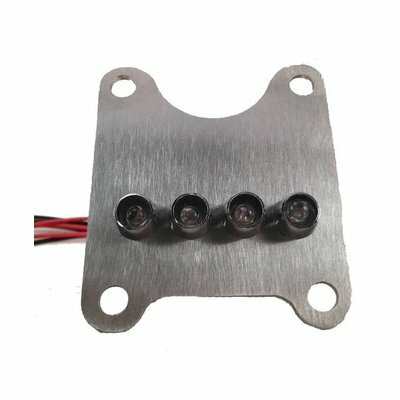 Functions: highest rpm memory, oil / water temerpature, clock. 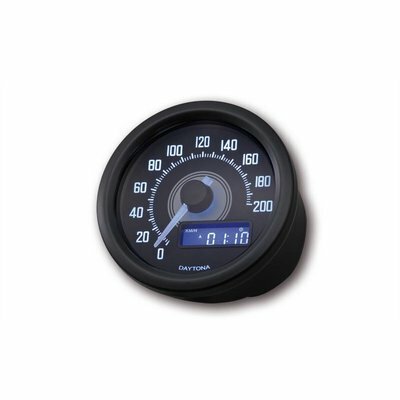 The signal is picked up from the original Tachometer cable. 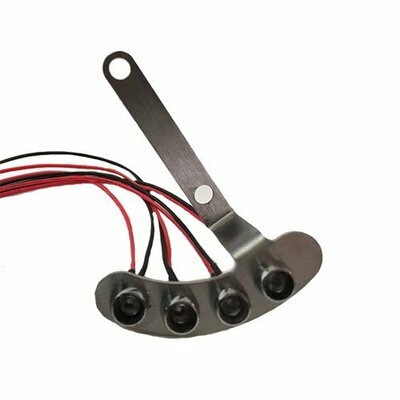 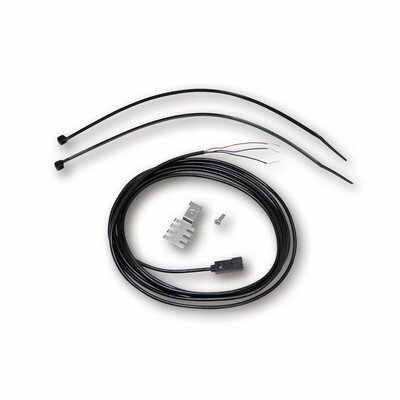 Other input options: dirctly from the ignition coil or inductiv from the spark cable.